A showcase of EDM artists from all around the world, in one clean mix, every fortnight. 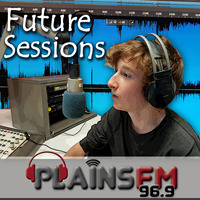 Future Sessions broadcasts a variety of electronic music, including; House, Future bass, Funk, Trap, etc. The show is hosted by Fynn Hart-Hobman, a teenager at Cashmere High School. Fynn has created and played music since primary, and wants to share his love of EDM with everyone.